← It IS Your Season! According to a recent study, it takes 90 hours before you consider someone a friend and 200 hours before you’re close. Life is better with at least one friend. The lack of social connection has been linked to a higher rate of premature death. So go out and make a friend! You’ll be more wealthy and rich when you do. Inspiring you to have more Wealth and Riches in every area of your life. Please subscribe above to get more great blog posts. 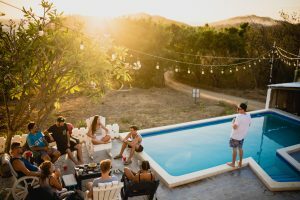 This entry was posted in Friends, law of attraction and tagged how long does it take to make a new friend?, live longer by having a friend, making a friend, no friends leads to a premature death, the importance of friends. Bookmark the permalink.